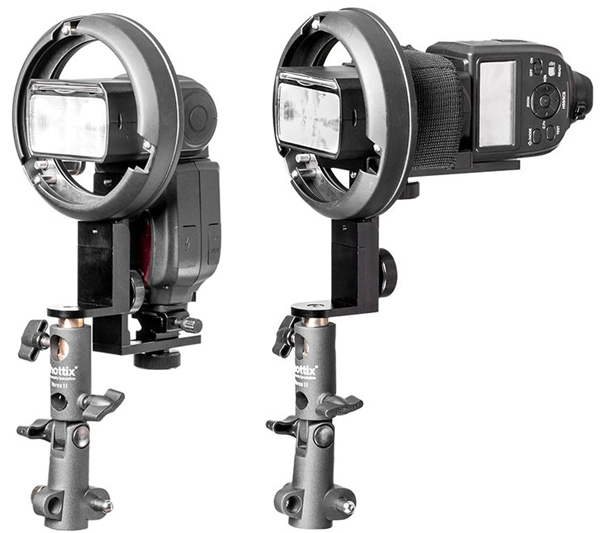 The new HS Speed Mount II allows flashguns to be mounted horizontally without straining the hotshoe. Want to use a softbox or beauty dish with your hotshoe flashgun? Phottix has redesigned its speedlight adapter so now you can do it, and do it sideways. 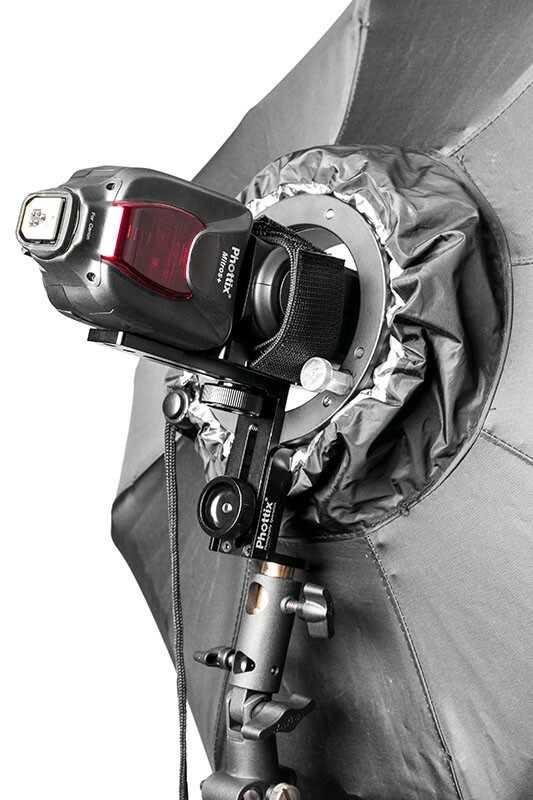 The HS Speed Mount II is a Bowens S-type adapter with a reversible L-bracket, allowing flashguns to be mounted upright or horizontally into large light modifiers. By holding your flashgun on its side, secured in place with a strap, there is no strain on the unit’s hotshoe foot and said connector is freed up to attach radio triggers or other accessories. It also allows you to push the head of the flash deeper into the softbox/dish than might otherwise be possible in upright mode. The Phottix HS Speed Mount II is available from the Phottix Store (priced $70) and other international distributors. The older version is about $40 from Adorama.